Burger King’s attempt to revolutionize fast food hots dogs is here! Yes, today marks the introduction of Grilled Dogs at BK. If you read our preview, you know some of the backstory on the concept. 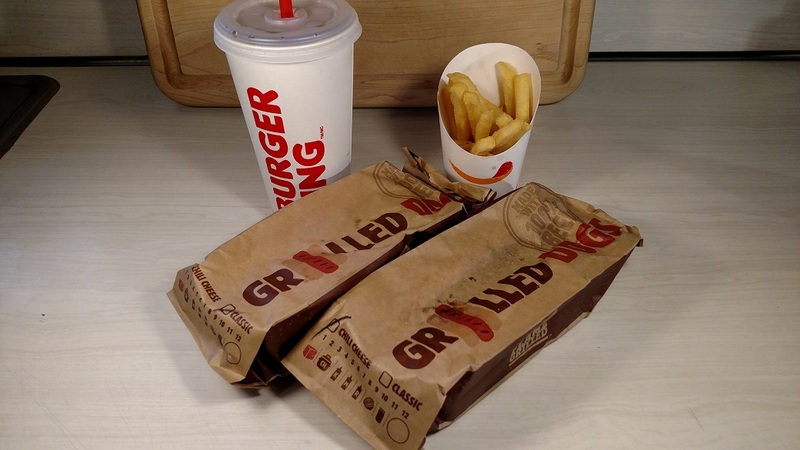 Burger King has been hyping up the introduction of its Grilled Dogs pretty heavily. Burger King is offering two dogs. 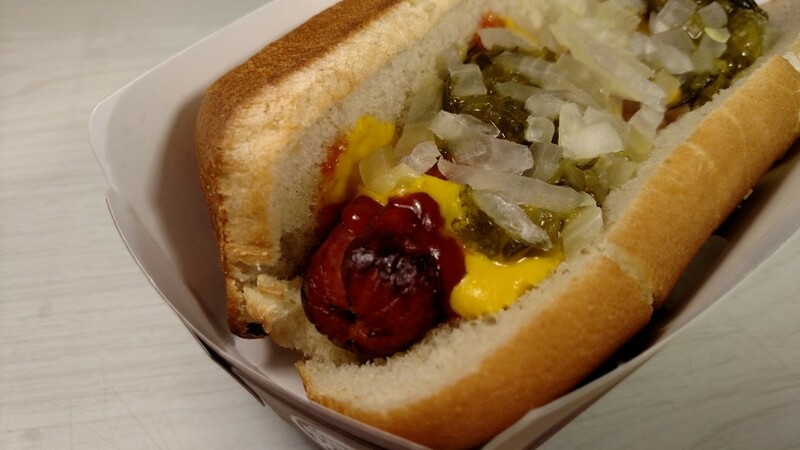 The Classic Grilled Dog comes with ketchup, mustard, onions, and relish. The Chili Cheese Grilled Dog is the other offering. The hot dogs are 100% beef. They are being added to Burger King’s permanent menu. So, can BK pull it off? Can BK revolutionize and corner the hot dog market? 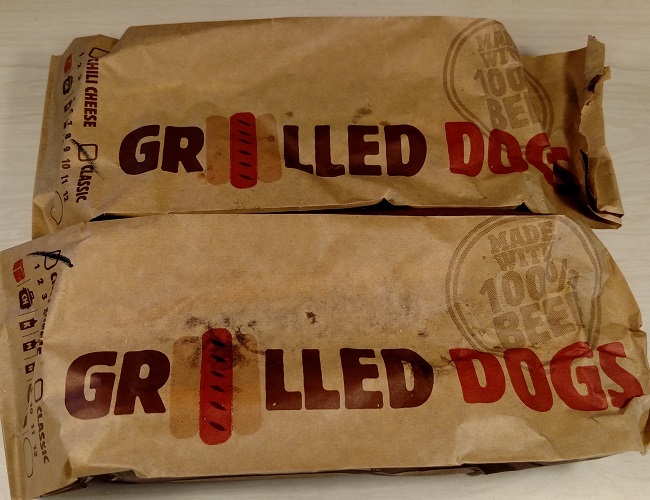 The Grilled Dogs come in a tray that is wrapped in a bag. Each is wrapped individually. Smart move, BK. This allows them to be stacked in a bag, and yet not get completely smashed. We approve. Interesting side note…the supervisor at our BK was showing an employee how to put the dogs in a bag. Gotta love launch day! And there you have ’em, in all their glory. Ladies and gentlemen…Grilled Dogs. Let’s start with the main point. The dog itself. Remember that these aren’t just hot dogs, people. They are Grilled Dogs. The main selling point is that they are flame-grilled. This is meant to be as much of a signature to BK as the flame-broiled burgers are. It certainly makes sense to use this angle; it fits right in to what Burger King already does. Let’s take a closer look, shall we? Yes! You can see the dog is clearly grilled. You can see grill marks. No, they aren’t like the promo pictures. We didn’t expect that. They look like REAL grilled hot dogs. That’s fine with us. They are actually grilled. They don’t just have FAKE grill marks. Cool. Above, you can see the inside of the dog. You can also see that the bottom of the dog is darker from the grill. The dogs are 100% beef, and they taste like it. There is a nice beef flavor. Is it a Vienna Beef dog? No. But no other dog tastes like those. These are on par with Oscar Mayer or Ball Park beef dogs. And that is a good thing. The texture of the dogs is fine. No complaints. They are NOT mushy or pasty. These are real dogs, you people. There is a slight snap when biting into the dogs, too. The size of the dogs are comparable to standard bun-size dogs. They do take up the whole bun. BK gets points for that. Also worth mentioning…there appears to be a lateral incision (we’re doctors!) across each dog. It was on all four of our test dogs. We don’t know why, exactly. Something to do with how they cook it? Maybe to hold some toppings on the dog? We don’t know, but it’s cool. The bottom line is that these dogs taste like when you grill a dog at home. The marks are NOT perfect, there is a nice amount of char (but NOT burned! ), and there is a little snap. Just like home-grilled. It is very rare for a fast food item to come out like it does at home. There is no “BK taste,” if that makes sense. Many fast food places have a taste that you get no matter what you order. That is not the case here. We really like the dogs themselves. Now, on to the whole package (HO HO!). This hot dog presents as pretty standard. That sounded clinical. We’re doctors! Yes, this dog is pretty standard. But that can be a good thing. 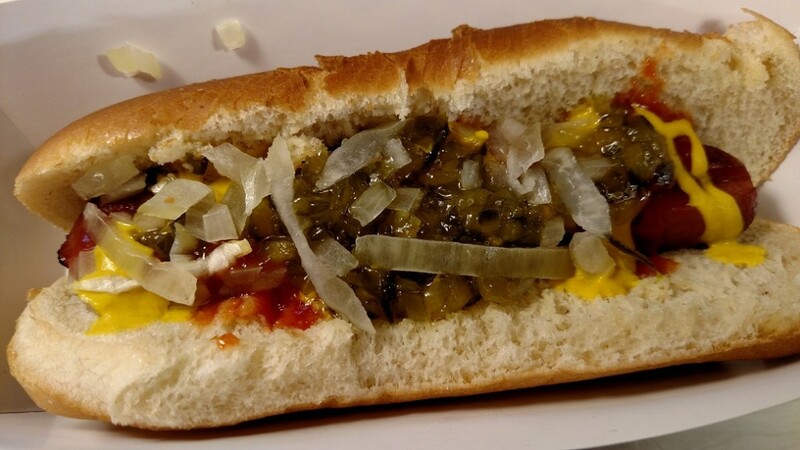 It has ketchup, mustard, onions, and relish. That’s it. 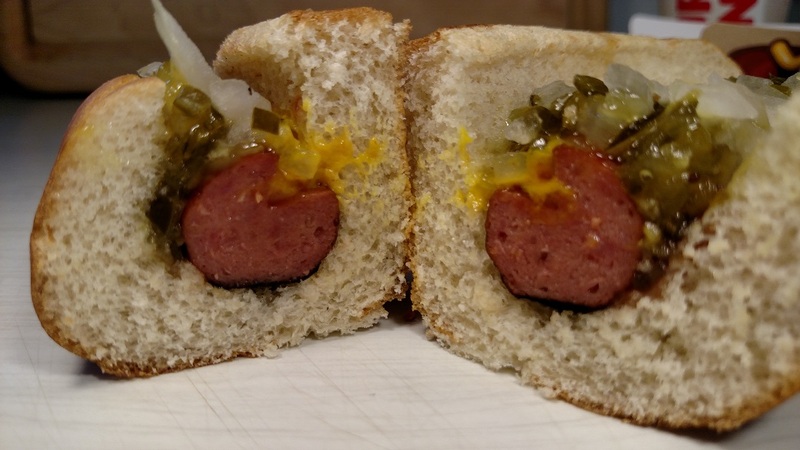 No, this isn’t a Chicago-style dog. Or a New York dog. It’s just a standard dog you would find at a ballgame. We like it. There are plenty of toppings, but the thing is NOT overloaded. We think that is a good thing. There is enough of everything to taste it all, but not enough to overwhelm the dog. And, it isn’t so loaded that the bun sogs out and the thing falls apart. Overall, this is a good, traditional dog. This one is pretty self-explanatory, kids. It’s a dog. With chili and cheese. The cheese is shredded cheddar. It gets nice and melty on the chili. 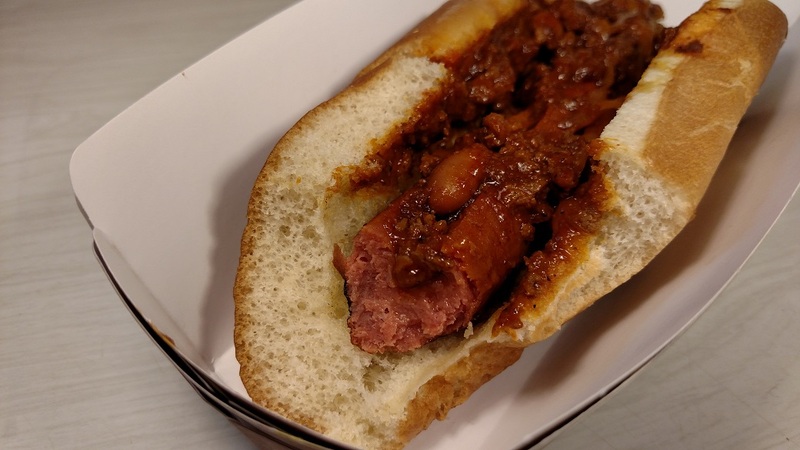 It adds flavor, and is a nice addition making this more than just a regular chili dog. The chili is good. It has plenty of meat. It is saucy. There are also beans in it. When first looking at the dog, we didn’t see the beans. We noticed them after we dug in. The beans appear to be pinto. This is nice, as opposed to chili beans. The chili struck us as a canned chili. Which is fine. BK doesn’t sell chili. We didn’t think that it would start making its own chili just for dogs. And there is nothing wrong with canned chili on chili dogs (Denny and The Only One use Hormel for chili dogs at home!). Herman thinks the chili is a little salty. Denny doesn’t think so. Overall, we both think the chili is pretty damn good. 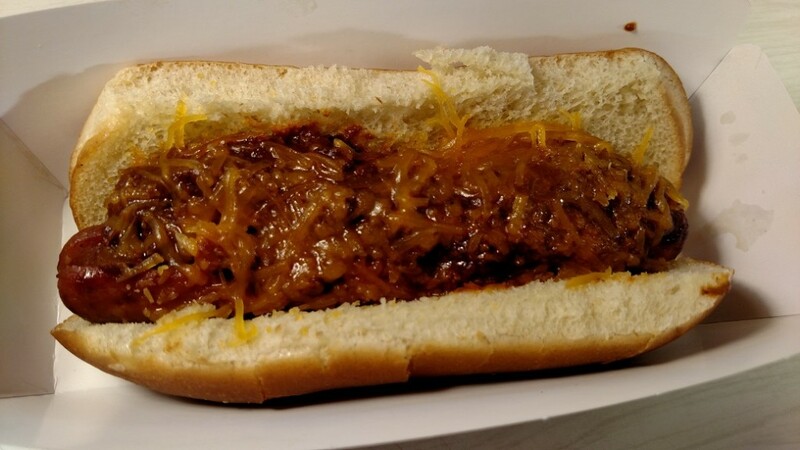 Like the other dog, there is plenty of chili and cheese, but not enough to swamp the dog and sog out the bun. Most chili dogs just fall apart. This sucker actually stayed together. We think that is a good thing. The bun is the same on both dogs. Although there is nothing groundbreaking here, it is a good bun. It isn’t overly mushy. It has a nice texture. There is a slight crispiness to the bun, almost as if it were slightly toasted. In our area, the Classic dog is $1.99. The meal with a small order of fries and small drink is $4.49. 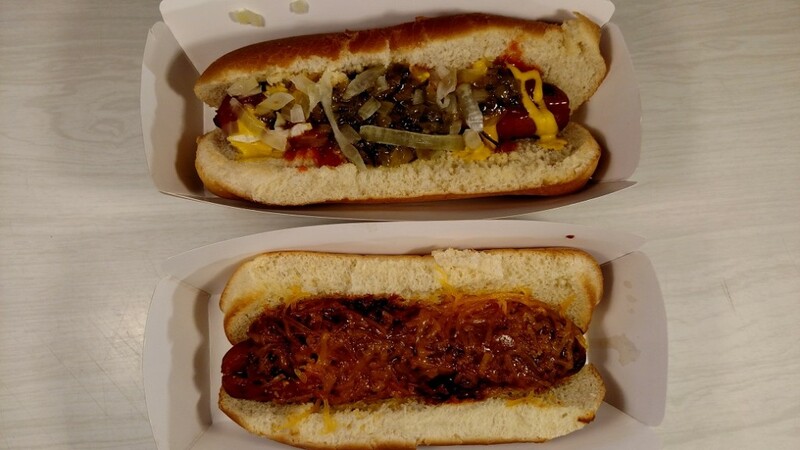 The Chili Cheese dog is $2.29, and the meal is $4.79 The price is comparable to other places that have dogs and fries. The value is there, since it is on par. Now, how much you eat may sway the value. If you are a real Fewd Snob like us, we can eat a lot of dogs. If you eat four dogs, the price may be a little high. But if you aren’t a slob, it is certainly reasonable! Would we get it again? Herman probably wouldn’t get them again. He would rather get the Chicken Burger from BK. He isn’t that big of a hot dog guy at fast food places. There is a local place that he eats dogs at. Or, he makes them at home. This doesn’t really have anything to do with the dogs, though. This is just Herman’s preference. Denny would get them again. He is too lazy to make his own! What we would do isn’t really the point, though. BK’s Grilled Dogs are designed for a worker on lunch who wants to be transplanted to the ballpark while eating a real grilled dog. That’s the bottom line, and BK succeeds. This could be huge for Burger King. We think if BK could market these right, and really get them in front of people, it is really on to something here. Fewd Snobs approved. What do you think? Leave comments below.